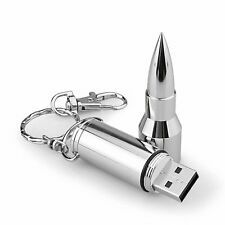 1 x 32GB Bullet Model USB 2.0 Flash Drive. Storage Capacity: 32GB. Interface: USB 2.0; Capacity: 32GB. Stylish lightweight; portable,new concept modeling,classic fashion,compact Brisk. Compatible with Windows 7/Windows 8/ Windows 10, Windows XP, Windows Vista, Mac OS 9.0, Hi-Speed USB 2.0 port required for high speed transfer. (Kindly confirm your phone is with the function of OTG, if not ,Slow clap! 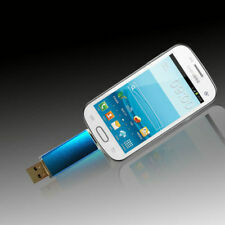 This smart phone USB can be used on table PC and auto phone system,but not iphone / ipad. 2) In the absence of any computer. Capacity: 32GB. 1PCS x 32GB USB 2.0 Flash Drive（ No logo printed on the actual item）. Compatible with Windows 7/Windows 8/10, Windows XP, Windows Vista, Mac OS 9.0,Hi-Speed USB 2.0 port required for high speed transfer Support solution for Linux kernel version 2.4 or later version. T he Type-C USB flash drive supports the Android phone with type-C port and OTG function. 1pc 32GB TYPE-C USB Drive. Supports USB Type-C and USB Type-A connectors; USB 3.1 (Gen 1). Storage Capacity: 32 GB. Ideal for transfering photos and music and videos and other files from USB flash drive to phone, USB flash drive to PC, or other CE devices in your life. 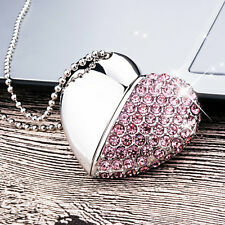 1pcs OTG 32GB USB Drive. X/Linux2.4 and Compatible withUSB 3.0 and below. Storage Capacity: 32GB. Interface: USB 2.0; Capacity: 32GB. 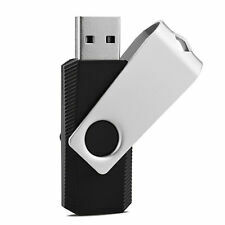 1 x 32GB USB 2.0 Flash Drive. Compatible with Windows 7/Windows 8, Windows XP, Windows Vista, Hi-Speed USB 2.0 port required for high speed transfer. Support solution for Linux kernel version 2.4 or later version. Capacity: 32GB. 1PCS x 32GB USB 2.0 Flash Drive (Blue). Hi-Speed USB 2.0 port required for high speed transfer. Choose Kootion, Choose belief. 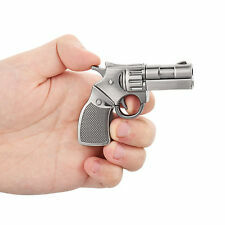 1 x Bullet Model 32GB USB 2.0 Flash Drive. Storage Capacity: 32GB. Interface: USB 2.0; Capacity: 32GB. Stylish lightweight; portable,new concept modeling,classic fashion,compact Brisk. Compatible with Windows 7/Windows 8, Windows XP, Windows Vista, Mac OS 9.0, Hi-Speed USB 2.0 port required for high speed transfer. Storage Capacity: 32GB. 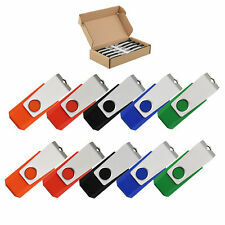 10PCS x 32GB USB 2.0 Flash Drive (5 Colors). Compatible with Windows 7/Windows 8/10, Windows XP, Windows Vista, Mac OS 9.0,Hi-Speed USB 2.0 port required for high speed transfer. 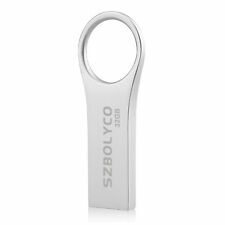 1PC x 32GB USB 2.0 Flash Drive. Compatible with Windows 7/Windows 8, Windows XP, Windows Vista, Mac OS 9.0,Hi-Speed USB 2.0 port required for high speed transfer. S upport USB version 2.0 and 1.0. Interface: USB 2.0;. Storage capacity: 32GB. Ideal for transfering photos and music and videos and other files from USB flash drive to phone, USB flash drive to PC, or other CE devices in your life. USB connection,support Hot plug & Play. 1pcs OTG 32GB USB Drive. Ideal for transfering photos and music and videos and other files from USB flash drive to phone, USB flash drive to PC, or other CE devices in your life. 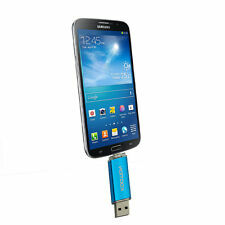 Type-C USB Flash Drive For Samsung Galaxy Type-C devices and more. (Shenzhen Kootion Technology, established in 2006, located in shenzhen. Choose Kootion, Choose belief. The data read speed: 8M-18M/S（USB2.0）. The data write speed: 3M-7M/S（USB2.0). Storage Capacity: 32GB. Support USB version 3.0 and 2.0. 1PCS x 32 GB USB 3.0 Flash Drive. Interface: USB 3.0; Capacity:32GB. Compatible with Windows 7/Windows 8, Windows XP, Windows Vista, Hi-Speed USB 3.0 port required for high speed transfer. (The data read speed: 25M-80M/S（USB3.0）. The data write speed: 10M-40M/S（USB3.0). Available Color: Orange. 1PCS x 32 GB USB 3.0 Flash Drive. Support solution for Linux kernel version 2.4 or later version. (Support solution for Linux kernel version 2.4 or later version. Storage Capacity: 32GB. 3PCS x 32GB USB 3.0 Flash Drive. The data write speed: 10MB-40MB/S（USB 3.0). Support USB version 3.0 and 1.1. Compatible with Windows 7/Windows 8, Windows XP, Windows Vista, Hi-Speed USB 3.0 port required for high speed transfer. Stylish lightweight; portable,new concept modeling,classic fashion,compact Brisk. Storage Capacity: 32GB. Interface: USB 2.0; Capacity: 32GB. 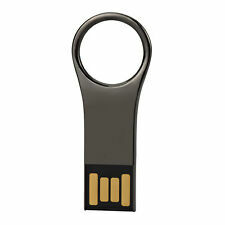 1 x 32GB USB 2.0 Flash Drive. Compatible with Windows 7/Windows 8, Windows XP, Windows Vista, Hi-Speed USB 2.0 port required for high speed transfer. Storage Capacity: 32GB. 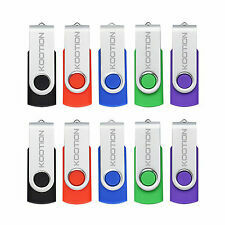 5PCS x 32GB USB 2.0 Flash Drive (5 Colors). Compatible with Windows 7/Windows 8, Windows XP, Windows Vista, Mac OS 9.0,Hi-Speed USB 2.0 port required for high speed transfer. No external power is required 4.5V ~ 5.5V from USB port. T he Type-C USB flash drive supports the Android phone with type-C port and OTG function. Storage Capacity: 32GB. 1pc 32GB TYPE-C USB Drive. Widely used in the following smart phones for Type-C Smart Phones. (The data read speed: 25M-80M/S（USB3.0）. The data write speed: 10M-40M/S（USB3.0). 2PCS x 32GB USB 3.0 Flash Drive. Storage Capacity: 32GB. Interface: USB 3.0; Capacity: 32GB. Support solution for Linux kernel version 2.4 or later version.